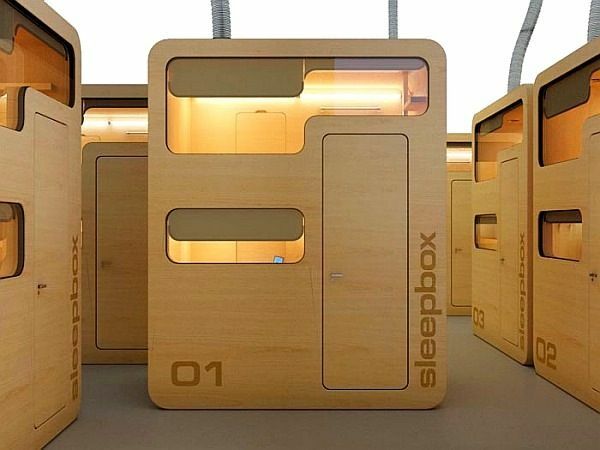 Sleepbox - how about sleeping in a box when you are just passing by a large city? Size: 2 m x 1,40m x 2,30m to sleep in comfort and security. 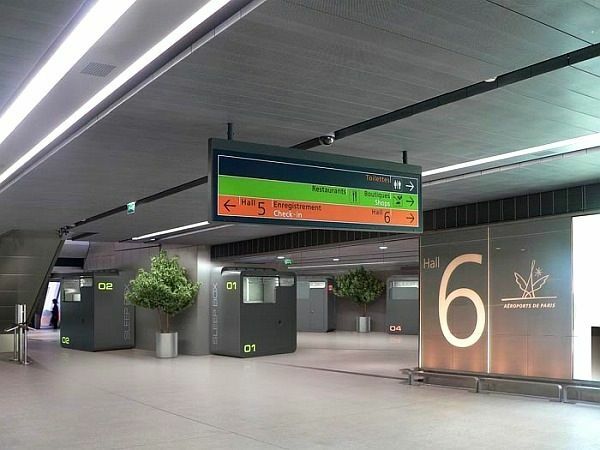 Designed to be installed at train stations and airports, and central public places or cities where accommodation is fully booked. 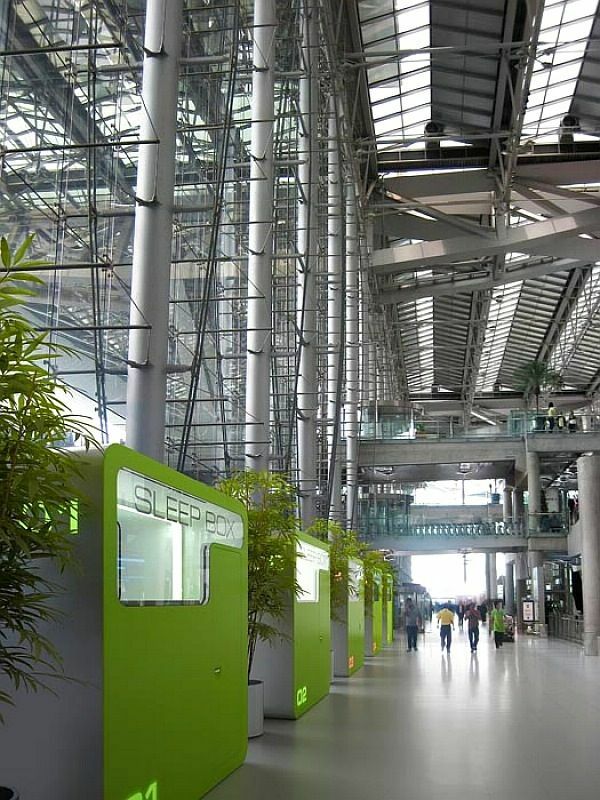 In tropical climate countries the sleeper box can be installed outdoors in main streets. 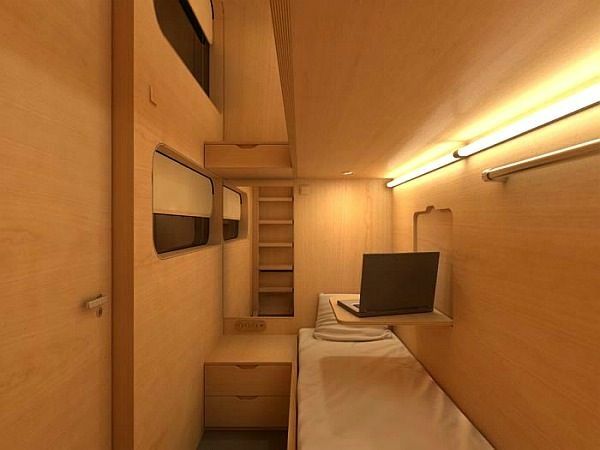 The space includes bed, linen, ventilation system, alarm. 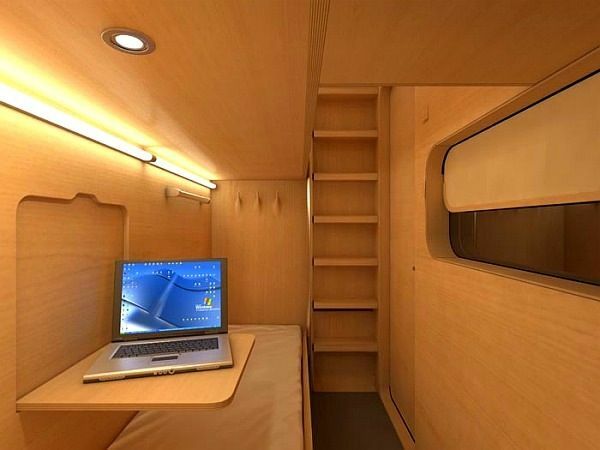 LCD TV, WiFi , space for your laptop and re chargeable phone. 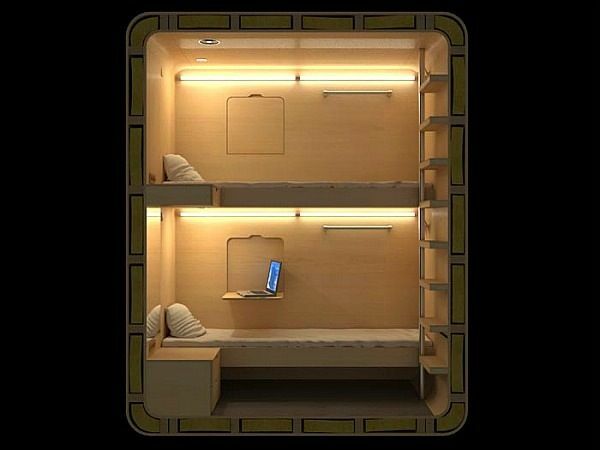 Under your bed and floor there is a cupboard for your luggage. Payment is made at terminals who will give clients an electronic key that can be purchased for 15 minutes or for as many hours as you need.